"I was all of three years old when Margaret Thatcher left Office. However my first political memories involve the Iron Lady herself. The son of a small businessman, I remember many an evening spent by my father's side, 'working' alongside him at his garage as he educated me, from the perspective of the average voter, about the history of Thatcherism, and how Maggie transformed Britain for the better, both at home and abroad. Mrs Thatcher was a Leader firmly on the side of people like my dad who, however modest their aspirations, worked hard to provide a future for their family better than that which they had themselves. As modest as that itself may sound, it is my enduring memory of Margaret Thatcher." 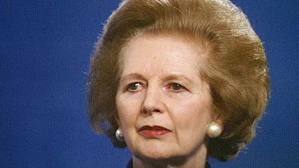 "We easily forget that Margaret Thatcher became prime minister at the height of the Cold War. In 1979 the world was on a knife edge and Britain was torn with internal strife. She brought an instinctive sense of justice and purpose to a country which was losing its way. In the teeth of bitter and rancorous opposition she held course and her government was instrumental in turning Britain into a modern and successful country. Her crystal clear understanding of the weaknesses of socialism struck a chord across much of the world. Ironically, many still rail against her name in Scotland though we also benefited from the reforms she initiated and the safer world she left behind. "She didn't mind being challenged, indeed she listened with great care if she thought the person challenging her knew what they were talking about, and she could change her mind and opinions, but only on the basis of solid evidence and solid argument." Other quotes about her here. Other quotes from her here.